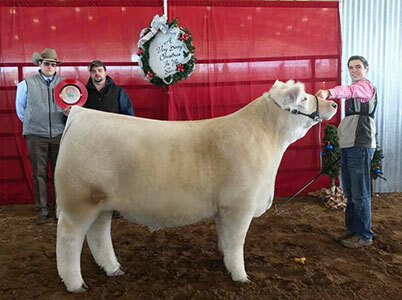 Olson Show Cattle :: Geneseo, Illinois :: Where good cattle and good families come together! View our for sale page for more information. WHERE GOOD FAMILIES AND GOOD CATTLE COME TOGETHER! Olson Show Cattle offers show cattle for sale throughout the year and also has a Private Treaty sale in the fall. Visitors are welcome anytime. Show Cattle may be born with quality, but it only pays off when time and devotion are given to making them their best. We are located in Geneseo, Illinois, only 3 miles off I-80. Find directions from your location. Thank you for visiting Olson Show Cattle!